They wagered huge amounts and won $150,000 on a typical weekend. The casinos treated them with comps to get them to continue playing and eventually lose the winnings. But they were not your typical Las Vegas high rollers. They were MIT students who came to the the blackjack tables armed with a system designed to beat the house. Getting them to carry on playing was the biggest mistake the casino staff could make. The Massachusetts Institute of Technology (MIT) has been home to some of the brightest minds in America for over 100 years. In the early 1990s, a group of students lead by professor Micky Rosa formed a blackjack team whose goal was not technological inventions or winning the Nobel Prize. They wanted to beat casinos for millions of dollars using a sophisticated Blackjack card counting system developed at the campus. And they succeeded. A main figure in this team was Russian-born Semyon Dukach who came to MIT to complete a Master of Science in Computer Science. Dukach first joined the team Strategic Investments and later become the leader of The Amphibians when SI split up into two groups. 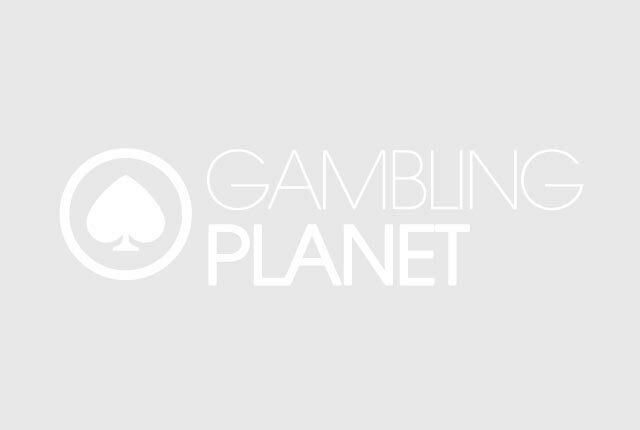 Gambling Planet met up with Semyon Dukach to talk about how they managed to beat the casinos and stay out of trouble. This is how he looks at his old profession as a professional blackjack player. What attracted you to blackjack and what lead you to join the MIT blackjack team? I liked Pac Man a lot. Found a book on how to beat it by Ken Uston. Read his other books, which were all about blackjack. I must have been about 12 then. So when I saw the poster at MIT looking for new team members, I was all over it. Does the film 21 do the MIT team justice? In reality, weren’t they a whole lot geekier than portrayed on the silver screen? No, but they got the geekiness factor about right. Your original blackjack team was divided into two teams – The Reptiles and the Amphibians – which team was most successful and why? It's hard to say. We were definitely geekier. We both made a lot of money in the 95-97 time frames. The reptiles did mostly card counting while we played a lot of advanced games, too. How would you define the word gambling? Placing bets with no advantage for the purposes of titillation or to intentionally increase the random variance in your net worth (which is always a boneheaded maneuver). How much of what you and the team did was about gambling? Have you ever thought about sending a bill to the casinos? Although your job was to take money from them, the casinos must have gained so much money from the blackjack boom you guys started. How many of the people counting cards are actually successful and winners over the long haul? You mean trying to count cards or successfully counting them? 99% of the people who try to, don't bother to practice or be disciplined about it, so they end up just gambling. A small percentage is professionals like us, and they usually succeed in the long term. Are there any other games in which a player can get positive expectation, and if yes, how big can the edge become? Yes, occasionally other games can be beaten, but none regularly with an edge that's easy to quantify, as far as I know. You can beat poker if you play against much weaker players, but you don't necessarily know when you're the fish and not the fisherman. Could you briefly describe how card counting works? Lots of others have done that, including Ben Mezrich at the end of bringing down the house, or classics like Ed Thorpe. What is hardest, learning and deploying a winning strategy or avoiding heat? How did you avoid getting attention from the casino staff, and how did this change when people started recognizing your name and your face? Did you go for a fake moustache and a sombrero? Mostly I grew and shaved off real facial hair, and a hat will do wonders to your appearance. Act is more important than looks in general. How did the casinos treat your card-counting group – when they just saw you as high rollers and when they realized what you were up to? They comped us to high heaven at first, then chased us out with occasional threats and faxed our pics around to other places. Does the casino staff treat card counters and cheaters any different? They don’t drag people into alleys anymore, do they? Not generally, though they still drag them into backrooms and try to intimidate them. They'll break the law if they think the consequences are limited, such as losing only $10K in a civil lawsuit to a guy on our team who got handcuffed to a chair in a dark room and threatened in nasty ways. How much could you win/lose on a single night? Generally under 200K and the expected win was much less. $15K in expectation plus or minus $80K might be typical for a weekend. What was your profit over the long haul? How much would you earn in, say, a year? We made a few million over a few years, but it was with a lot of people. I know several former players who made many millions each, but it was always from high tech software companies they later started. The blackjack money was small in comparison. Has your view of money changed over the years? Yeah, I'm now longer interested in making lots of it as a personal goal. I think it's like technology, it can be used for good but it has a lot more potential for evil if not handled with great care and respect. Could you describe how bankroll management works in blackjack? How much money do you need to play at the highest levels and what are the swings like? You should bet about .4 times the percentage of your bankroll equal to your theoretical advantage, which you can calculate or look up in a book. You can't really put more than a million to work effectively even with a large team without hitting table maximums and getting too much attention. An ideal bankroll would be a couple of hundred k, though you could play much more effectively (but make much less money) with 20-100k or so. Why did you stop playing blackjack professionally? I started a software company and realized it was more lucrative but also much more rewarding, as my customers actually thanked me for my products. I'd rather do some good to someone than just rake in some cash because I happen to be smarter or more patient than them. How was it getting back into “real life” and do you miss anything from the old days? Real life continues, everything is real. I miss being young a bit, if anything at all. But generally I'm very happy with where I am right now, proud of the stuff I was able to pull off in the past, but much more excited about current projects, and things I will be tackling in the future.